As the HBO series Game of Thrones is far past the book series its based on, A Song of Ice and Fire by George R.R. Martin, not even diehard fans know how the show will end. All we can do is theorize, which fans are doing a whole lot now, as we wait for the eighth and final season to premiere this Sunday. One of the biggest questions we all have is in regards to the Night King, and whether or not he, along with his army, will be defeated. And if so, what consequences will come along? One theory claims the undead leader will be conquered, however the Starks will also have to die in order for it to happen. The Telegraph poses the idea that the Night King could’ve possibly been a Stark, (as Old Nan once told Bran was a possibility). 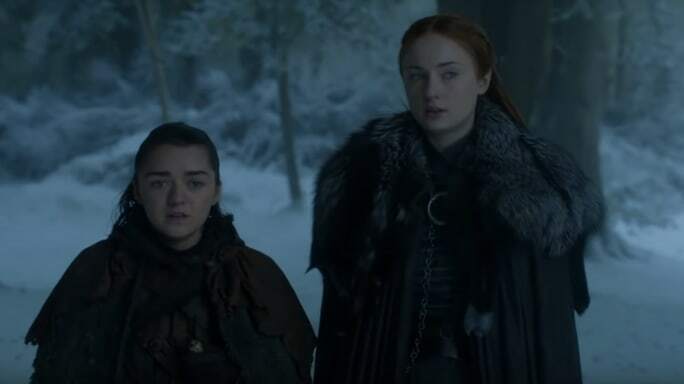 This theory, when paired with the idea that killing a White Walker would also kill all of its creations, could mean the end of the House of Winterfell. So what’s the evidence behind this bold theory? The publication explains a few key things. The first, and the most obvious, is that the series is known to kill off main characters we all love. Eliminating the remaining Starks would mean saying goodbye to Sansa, Arya, Bran, and even Jon, as although he’s technically a Targaryen, his mother was Lyanna Stark. They also point out how showrunners David Benioff and D.B. Weiss previously revealed there would be “three holy s**t moments” throughout the show, with only one left for the final season. (The co-creators explained the first was Shireen’s death, and the second was Hodor’s origin story.) The last moment of course be a variety of things, but killing off the fan-favorite family might be the most shocking possibility. Another potential reason this theory could work is the Stark’s connection to the White Walkers. Thousands of years ago, the Wall was created by a Stark called Brandon the Builder, as far as the legend goes. It’s also believed there was magic involved in building it, something that hints the undead were involved. The publication goes on to explain that since it was apparently Brandon who enforced that there must always be a Stark at Winterfell, it begs speculation he made some type of pact with the Walkers. There’s a ton of details from that time that we just don’t know. And of course, if you’re into the theory that the Three-Eyed-Raven Bran Stark is actually the Night King, this would fit perfectly. But there’s no doubting Bran has a connection with the White Walkers, even if you don’t believe he’s the Night King. Could it be because they’re family? There’s not enough evidence to know for sure, but the idea is interesting at the very least. What The Telegraph is suggesting here really is a complex two-parter, but it’s hard to deny the theory as at least a possibility. 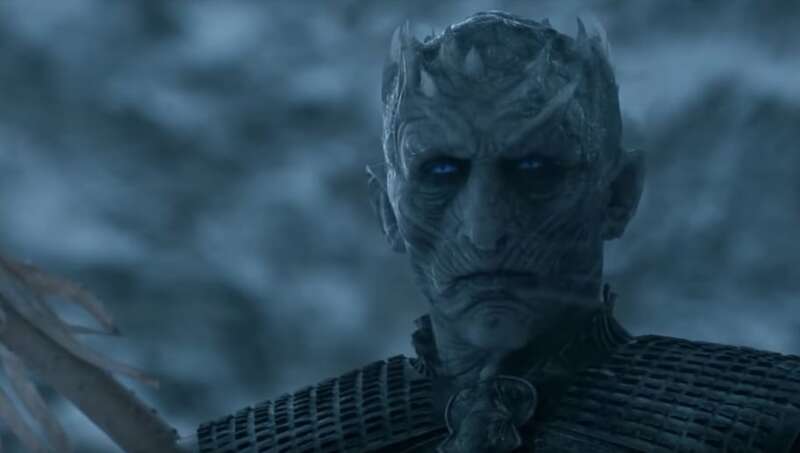 The Night King actually being a Stark would explain so much, and having the family die just so he can be defeated would fit the “bittersweet” ending we should all be expecting. Soon enough, all of these theories won’t matter, as the finale is almost here. Game of Thrones returns one last time on April 14.